Norwich Christian Colin Grey has fulfilled the dying wish of his wife Joanne, to produce and deliver hand-stitched prayer cards for all MPs and peers, reports Network Norwich & Norfolk. Jo, a developmental studies graduate from UEA, died in January 2015, aged 37, from non-Hodgkin’s lymphoma, 15 months after undergoing a kidney transplant from her mother Janice at Addenbrooke's Hospital near Cambridge. 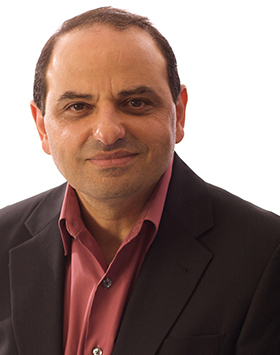 It was about the time of the MPs’ expenses scandal and Jo felt God give her a vision to send prayer cards with the first part of the verse – He who walks purely walks securely – on them to every single MP and member of the House of Lords. Jo was a huge cross-stitch enthusiast and over five years she spent literally hundreds of hours carefully stitching 731 cards. For her they were a work of art and of prayer. She was even stitching in hospital hours before she died. It was Jo’s dying wish that they were all completed and delivered and husband Colin, an ICT tutor in Norwich, set about making it happen. A network of more than 100 people from right across the country responded to Colin’s appeal for stitchers to complete the cards and now, two years later, all 1444 have all been finished. 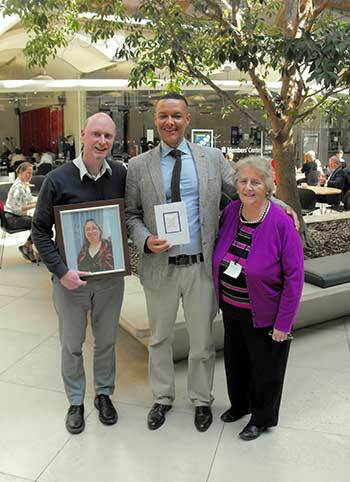 Colin personally delivered the cards to Parliament and handed them over to his own MP Clive Lewis of Norwich South and Christian MP Nicky Morgan, who represents Loughborough where Jo’s mum Janice lives, and is a member of the All Party Christians in Parliament group. The cards will be given to all of the new MPs who return to Parliament after the General Election on June 8. “The idea was that people pray for the MPs and lords, Parliament and our nation while they were stitching. Colin was accompanied on his visit to parliament by Hilda Gordon, who regularly attends the Prayer for Parliament sessions which meet in Parliament and pray for it and the nation.